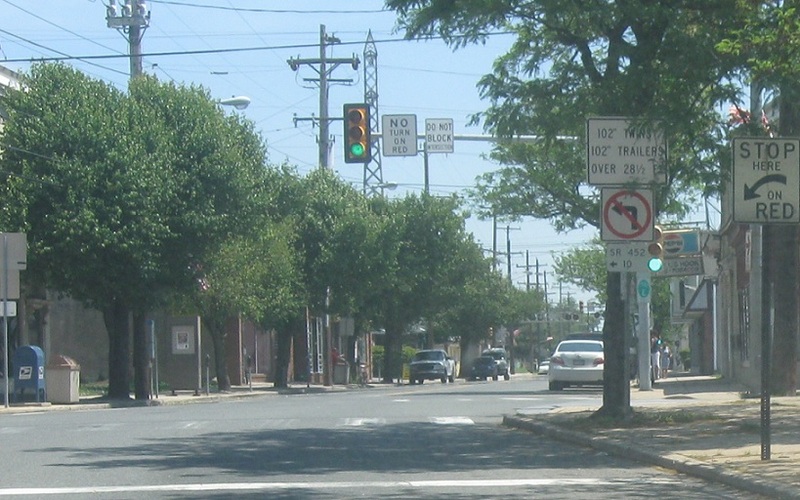 Right about here we’ll enter Pennsylvania, though there’s no signage to that effect. 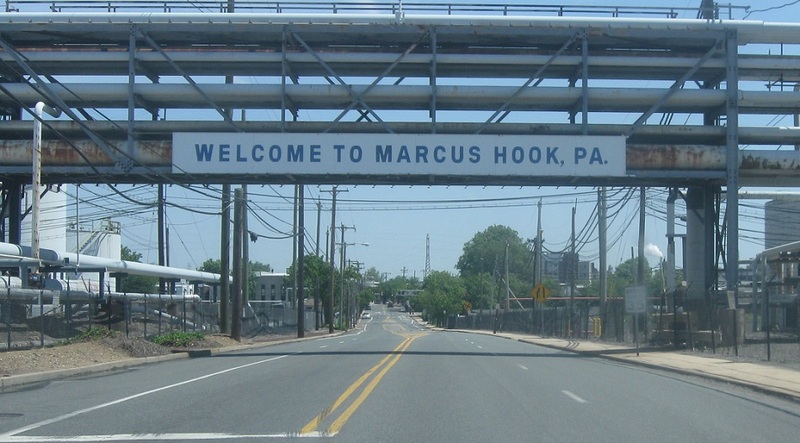 As we enter downtown Marcus Hook we’ll approach Route 452. 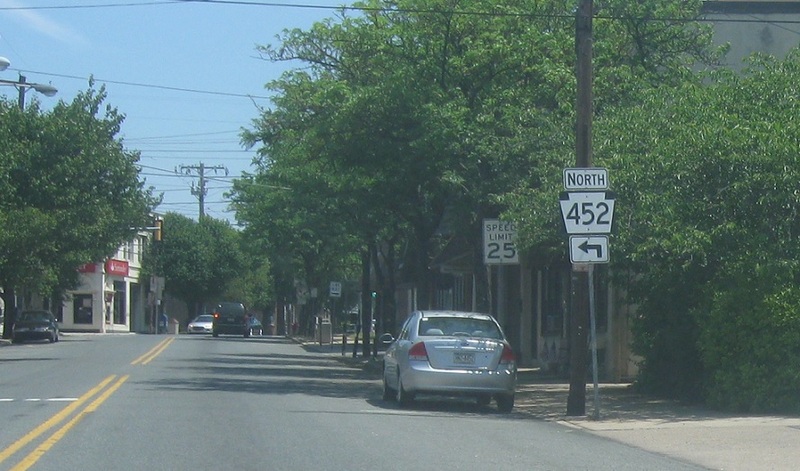 Turn left for PA 452.